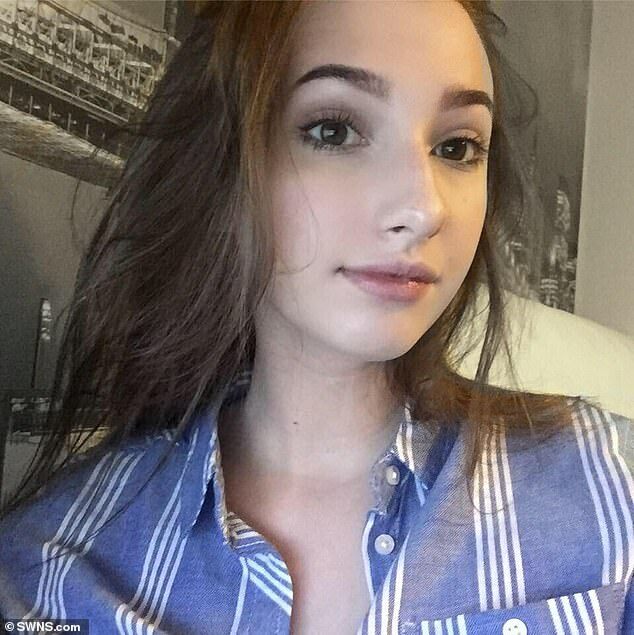 A teenager who visited her GP 15 times complaining of ‘crippling headaches’ was eventually diagnosed with a brain tumour. 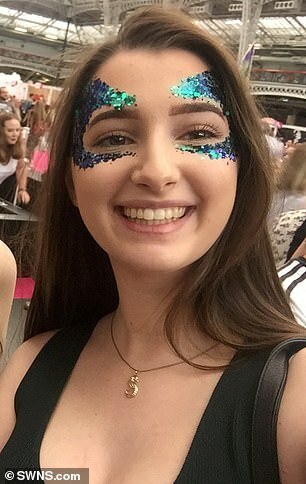 Beckie Hiley, 19, of Chelmsford, Essex, was told by medics for more than a year that she had migraines and recommended ‘headache drugs’. The English Literature student managed to make it through Freshers’ Week despite her severe vomiting, double vision and extreme fatigue. But halfway through her first lecture, Miss Hiley ‘couldn’t go on’ and was rushed to A&E. After enduring two surgeries to remove the mass, Miss Hiley is now undergoing radiotherapy – and will need chemo – to ensure she is all-clear. Speaking of her diagnosis, Miss Hiley said: ‘It has been a really tough journey. Going through a year of suffering and nobody listening is the worst bit. ‘The doctors were putting them down to migraines. But little did I know I was sitting in their office with a brain tumour. ‘I couldn’t keep any food down and I could barely walk from my bed to the sofa,’ Miss Hiley said. ‘I had no energy whatsoever. ‘I was going through Freshers’ week, meeting my lecturers and I started getting double vision, which is difficult when you’re studying literature. When Miss Hiley arrived at A&E, a doctor once again dismissed her symptoms as just a headache. When the student asked for a CT scan, he even allegedly told her not to have one due to the ‘radiation’ it would expose her to. 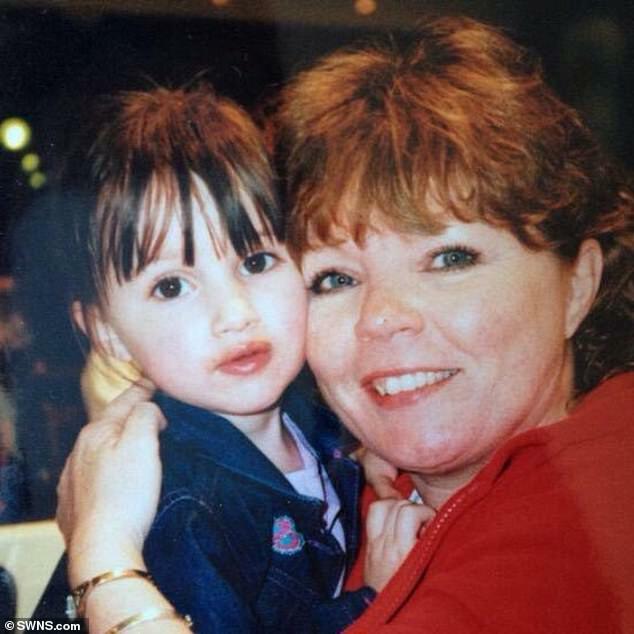 Miss Hiley’s mother Emma picked her up from A&E before taking her daughter to Specsavers in Chelmsford when she ‘couldn’t function and kept seeing double vision’. An optician noticed Miss Hiley’s optics nerves – which transmit information from the retina to the brain – were incredibly swollen. 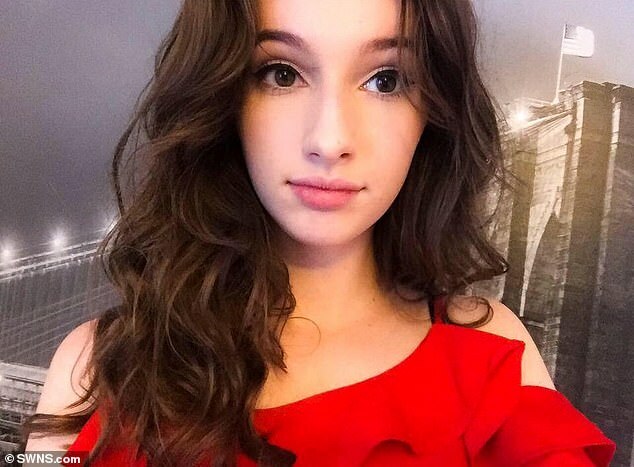 The student was immediately referred to the eye department at Broomfield Hospital, in Essex, where she underwent a CT scan. Doctors found a lesion on her left frontal lobe, with a biopsy later confirming it was cancer. 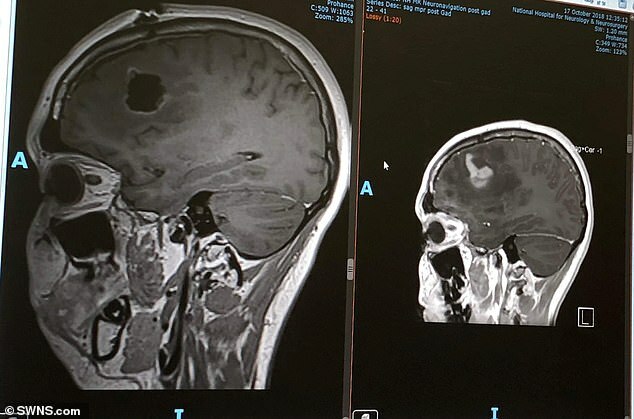 This tumour was pushing against Miss Hiley’s skull, causing her headaches. ‘I remember the doctors coming into the room looking like a ghost and said, “I am very sorry” and at that point it was like I had an out of body experience,’ she said. Miss Hiley was taken to University College London Hospital where the neurosurgeon Neil Kitchen performed the first of two craniotomies on October 24. This is the surgical removal of part of the bone from the skull to expose the brain so the tumour can be removed. However, while Miss Hiley was recovering at the start of the year, her headaches returned and she began hearing an ‘air’ sound. When she went back for another scan, doctors discovered the tumour had regrown. Miss Hiley’s diagnosis was updated to the rare tumour anaplastic astrocytoma and she had her second craniotomy on February 7. Just like with her first, Miss Hiley was given 5-ALA, commonly known as the ‘Pink Drink’. ‘It makes tumours glow under UV light during surgery to aid surgeons in removing them,’ she said. ‘Doctors began by cutting into my skin, then cutting through the layers of muscle until the skull is fully visible. 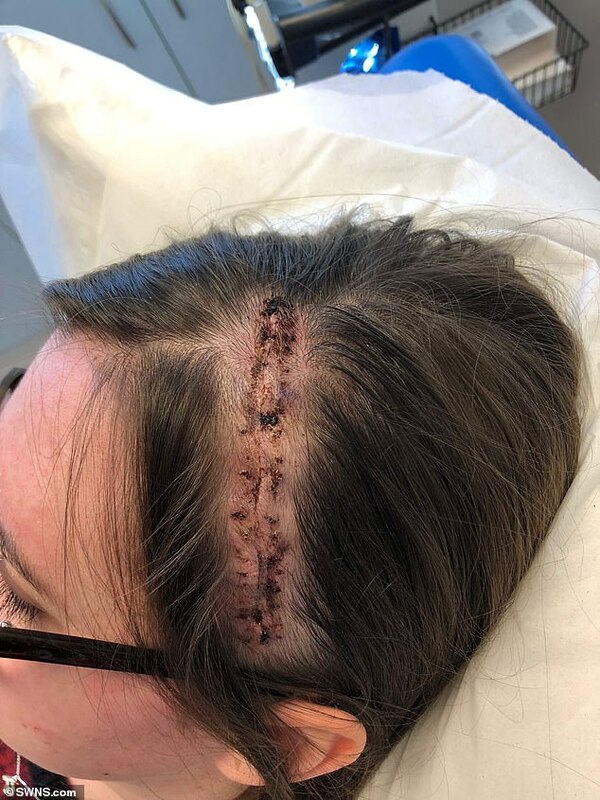 ‘Small circular hole were drilled into my skull and then a specialist saw is used to connect the holes, creating a bone flap which is removed and reveals a protective layer, this is [the] cut which reveals the tumour. 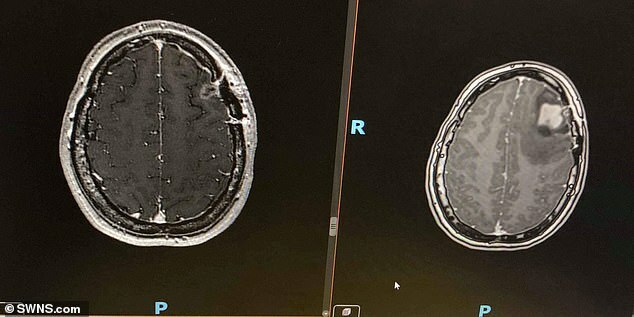 ‘They drained the cyst which was causing the pressure in my head and making a noise in my ear, and sent me in for another MRI scan to ensure it was all gone. The surgery was a success and Miss Hiley is undergoing a course of radiotherapy, which will be followed by chemo. ‘When we looked at the scan after the operation, it was the best looking scan you could possibly have,’ she said. Miss Hiley is speaking out to raise awareness of her disease, and in support of The Brain Tumour Charity and their Young Adult Services. She also hopes her ordeal will encourage doctors to more closely consider a patient’s symptoms. ‘I know people take advantage of A&E but why could they not look at how long I had been suffering [from] this for?,’ Miss Hiley said.